So it’s TSQL Tuesday once more, and hosted by Jen McCown this month. Thanks Jen! Well, having been in my current role for nearly a year now, which involves a degree of managing a number of SQL Servers, it’s a great opportunity to share what helps me. This is an Add-in for SSMS produced by Redgate. While it does a wide range of awesome things, one of the main things that help me, from an enterprise perspective, is the ability to colour code tabs. This means that it is really easy to see what environment I’m running code against. For me, Green is dev, Purple is staging (and not quite live), and Red is Production (or requires caution!). The other, really nice feature is that when you close SSMS down (which occasionally happens accidentally, or when Windows Update does it’s thing, cos why would you deliberately close it! ), SQL Prompt remembers all the tabs you had open, and reopens them (and connects them) on restart. For me, this is great as it means that I can concentrate on the actual work, rather than waste time trying to think of a filename for some random query that may be of use at some point.. This is a really nice feature feature, that allows me to run the same query on multiple servers. One of the main uses of this is to get a ‘snapshot’ of what is running on the servers, with sp_whoisactive. Having a Query connected to one of these groups runs the query against each member server, and adds a column to the start of the result set showing the server name. I’ve had chance to get to grips more with this over the past few months, and I’m really starting to find lots of great uses for it. One of the really helpful (Enterprise-related) features that I’m using it for is to monitor execution times for a specific stored procedure. This is just for one SP, and it’s called thousands of times an hour. Using Extended events for this allows tracking of these times, with bordering on no overhead. I’m in the process of doing a separate post on this, so keep em peeled. Thanks again to Jen for hosting. 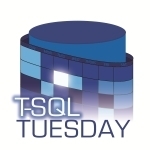 Thanks to everyone who posted on T-SQL Tuesday this month. Below is a summary of the posts, so have a look through if you’ve not had chance yet. There were some really interesting, and terrifying posts here, so pull up a chair, grab some whiskey, turn the lights down, and have a read through. Don’t forget to keep an eye out for the next TSQL2sDay post, in a couple of weeks time. Ted Krueger – Horrify Me! Chris Shaw – Are you kidding me ? Thanks to Erin Stellato for hosting this months #TSQL2sday. Erin wanted to know all about what we do every day! Interestingly, when I was much younger, I wanted to be a Fire-fighter or a Pilot. I’m still quite keen on learning to fly, but that’s looking less likely as time is going by (Eyesight, time, age and cost in that order). Now though, and for the past 12 years or so, I work as a Consultant. It’s a nice, vague title. It started out as ‘Technical Consultant’, moved through Systems Consultant, and CRM Consultant. It’s currently bouncing between BI Consultant and Data Warehousing Consultant depending on the project I’m working on. 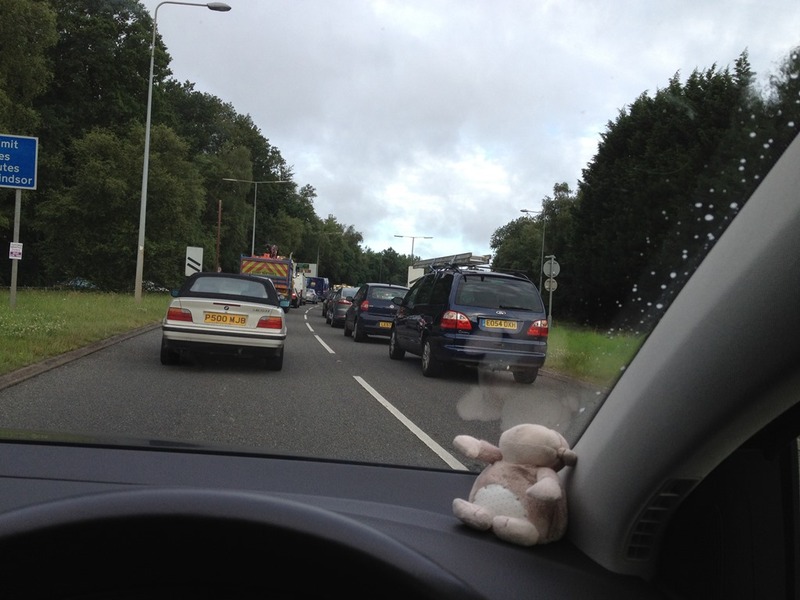 The day started by sitting in a traffic jam. Pretty common that, unfortunately. However, when I made it to my desk, I did a couple of checks of a server that I was running maintenance jobs on overnight. All was well, so I dived into email. A couple of interesting items in there, one was a link about a Pigeon with a USB stick being faster than UK broadband (BBC link here). Also, was an invitation to the Microsoft Hadoop on Azure trial, which looks really interesting, and something I’ll have a look at next week (link here). Then, I started work on a Customer project that I’m working on this week. It’s effectively adding two additional country feeds (Spain and France, since you asked), to a data warehouse. The customer is using WhereScape RED, so it was a pretty straightforward matter of dragging and dropping the tables from the DB2 source system, into the ETL tool. WhereScape RED then generates the stored procedures to allow the ETL process to run, to get the data into the DWH. Sounds a pretty straightforward process, however, there are 91 tables, and a couple of minor modifications to each one. So that took up all of my morning. The afternoon was pretty much taken up by an interesting problem with a BusinessObjects (XI4)environment. It was apparently continually running a query against the SQL Server database. We managed to prove it was the BO server doing this by changing the service account it was running as. 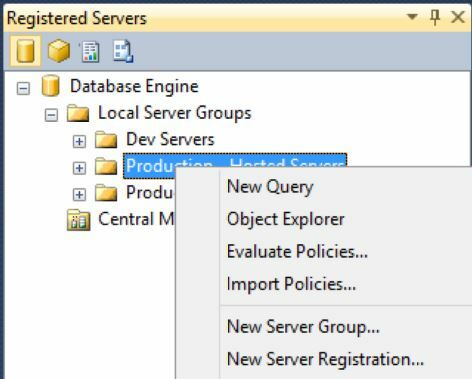 The query could be seen in sp_whoisactive (thank you @AdamMachanic) to be run by a different user. The query was proceeding to take the server utilisation to 100%, which meant that the other databases on the server couldn’t effectively service user queries. To temporarily resolve this issue, we put Resource Governor on, which restricted the BusinessObjects service to 25% of the CPU power, thereby letting the other users have some resources. I found a really helpful query that helped me to find the queries that were being run. The query (from SQLAuthority, is copied here). The final solution to the issue was to apply the BO XI4 SP4 patch, which appears to have resolved the issue. There was also a couple of questions on licencing, to which both answers were ‘If it looks to be too good to be true, it probably is’. Sadly, I didn’t get any pictures of the Red Arrows flying around the Farnborough Airshow, which is just up the road from us, or any pictures of the White-tailed Kite we saw flying over the motorway. And that, is pretty much my day; a comparatively quiet one, and for a change, I made it out the door and home at a reasonable time. I hope you found this interesting, and I look forward to reading about your day. Thanks again to Erin for hosting. It’s T-SQL Tuesday again, and this time hosted by Nigel Sammy. 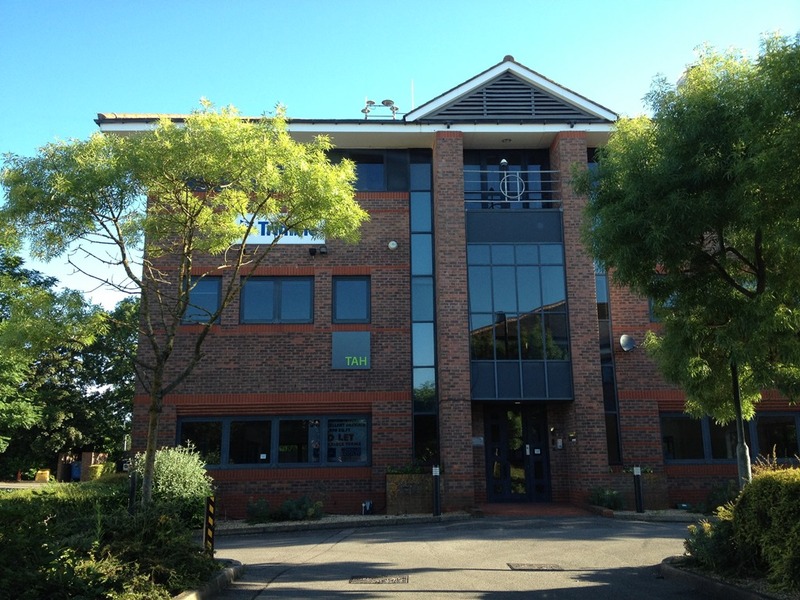 Thanks for hosting Nigel, enjoy the post. 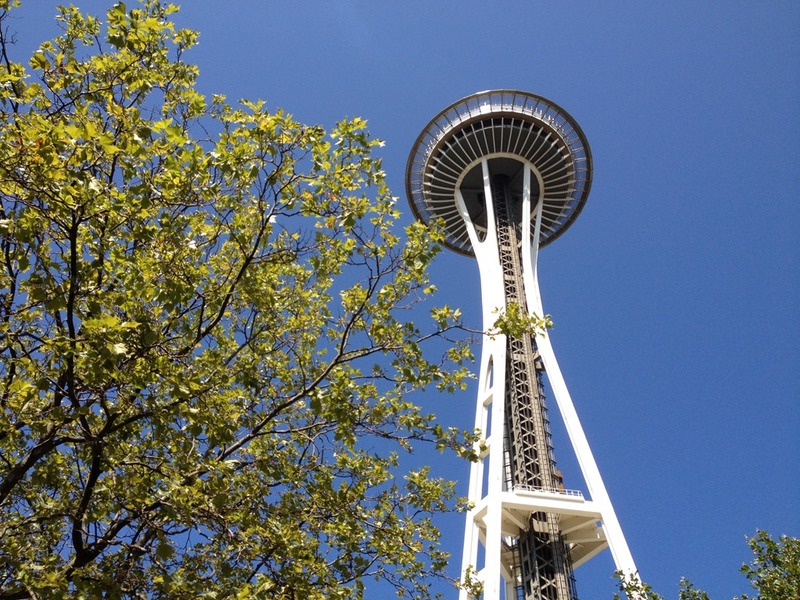 Not so long ago, I was lucky enough to go to SQL Bits X. It was a great few days, an I highly recommend it to you! The Keynote session, given by Conor Cunningham, was a 400 level session on the ColumnStore index, which is a new feature in SQl Server 2012. The demo was, unsurprisingly, really good, and it made me wonder ‘is it really that good ?’ So I thought I’d give it a go and see. Having Googled around a bit, I found a useful blog article by Sacha Tomey, that went through a few examples. With permission, I’m going to run through a similar process, add a few bits in, and use a different data set. Part of me really hates the AdventureWorks demo database, so you can imagine my delight when I discovered that there is now a bigger Retail data set, structured as a DataWarehouse. This is the Contoso BI set, and I like it. After installing the ContosoBI database, you’ll end up with a fact table, factOnlineSales, with approx. 12.6 million rows in it. Just to get a comparison, I ran the test query, shown below, to get an idea of the speed against the supplied Clustered Index. Table ‘FactOnlineSales’. Scan count 5, logical reads 46821, physical reads 1, read-ahead reads 46532, lob logical reads 0, lob physical reads 0, lob read-ahead reads 0. Next, I wanted to get rid of the Clustered index, but since I didn’t really want to lose the original table, I ran this code to insert the contents of the factOnlineSales table into factCleanSales. This gave me approx. 25 million records, and no Clustered Index. So I ran the test query again. It took a little longer this time. Table ‘factCleanSales’. Scan count 5, logical reads 505105, physical reads 0, read-ahead reads 504823, lob logical reads 0, lob physical reads 0, lob read-ahead reads 0. CPU time = 14976 ms, elapsed time = 33987 ms.
Nearly 10 times longer to run, and more than 10 times the I/O, but that wasn’t surprising since we had no indexes. So, following Sacha’s lead, I added a compressed, nonclustered index into the pot. Clearing the buffers and running the query now, resulted in a better experience. Table ‘factCleanSales’. Scan count 5, logical reads 43144, physical reads 1, read-ahead reads 42999, lob logical reads 0, lob physical reads 0, lob read-ahead reads 0. CPU time = 18877 ms, elapsed time = 5785 ms. The query time was down to a more reasonable level, though still longer than the Clustered Index. Adding the ColumnStore index took a while, just over 2 minutes. The definition is below, so I ran it. Note that the ColumnStore index has all the columns in the definition. You can’t have Include Columns, and by having all the columns in there, you gain huge flexibility for the Index. Next I ran the test query. Table ‘factCleanSales’. Scan count 4, logical reads 6378, physical reads 27, read-ahead reads 13347, lob logical reads 0, lob physical reads 0, lob read-ahead reads 0. CPU time = 515 ms, elapsed time = 378 ms.
That’s less than a tenth of the time the Clustered index took, and the great thing is, because it’s got all the columns in there, you can create more complicated queries, and still get amazing speed. By running the query below, we still got great speed! Table ‘factCleanSales’. Scan count 4, logical reads 8156, physical reads 78, read-ahead reads 16224, lob logical reads 0, lob physical reads 0, lob read-ahead reads 0. CPU time = 4603 ms, elapsed time = 1522 ms.
Is there a Downside ? Firstly, it’s an Enterprise only feature. This is annoying, however, it is linked to the second downside. You cannot insert, update or delete directly, when a ColumnStore index is present. UPDATE statement failed because data cannot be updated in a table with a columnstore index. Consider disabling the columnstore index before issuing the UPDATE statement, then rebuilding the columnstore index after UPDATE is complete. This means that if you are using it on a Data Warehouse, you’ll need to disable the index on the fact table, insert/update the data, then rebuild the index to get it back online. This isn’t ideal, however, there is an alternative. You can use Partition Switching to switch data in and out of the table. Effectively, what you’ll be doing to insert data, is to load data into a partition table, with the same schema as the fact table, and switch it in. For updating or deleteing, you’d switch the appropriate partition out, update/delete the data, then switch it back in again. It’s more complicated (obviously), but the performance improvement gained by ColumnStore indexes should be worth it. Given that Table Partitioning is an Enterprise feature, it makes sense (kind of) that ColumnStore indexes should be too. Then, added the ColumnStore back into the table, and this is automatically matched to the Partitioning function and scheme above. Next, I switched the data in using this, and then checked the partition values using the statement above. 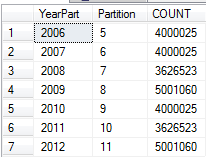 Delightfully, the fact table now has another partition, and all without removing the ColumnStore index on it. which will return the following data. Summing the on_disk_size will give you the size in bytes of the index. Just for transparency, the timings I was getting above weren’t on any huge server. They were on a virtual machine, running in VMWare Workstation v8.0.2 on Windows 7 SP1. SQL Server is 2012 (obviously), Developer Edition in 64bit. I think it’s reasonably safe to say that this is the longest (in size and time) blog post I’ve written, so I apologise if it rambles a bit, but I hope you get the importance of ColumnStore indexes, and I hope you get the chance to use them.